After having a late lunch we headed into the centre for the tour. We ended up having to rush a bit because we'd done a bit too much chilling at lunch and hadn't realised how long it took to get to the main centre. We were staying in the student area which was around a 10- 15 minute walk. When we got there we found other people going on the tour. After an awkward 'I think these people are also going on the tour but it's not quite obvious enough to go and sit with them'. Thankfully, the women giving the tour saw how confused we looked and asked if we were there for the tour. We filled in a form with our names and emails, waited to see if anyone else would turn up and then started the tour. 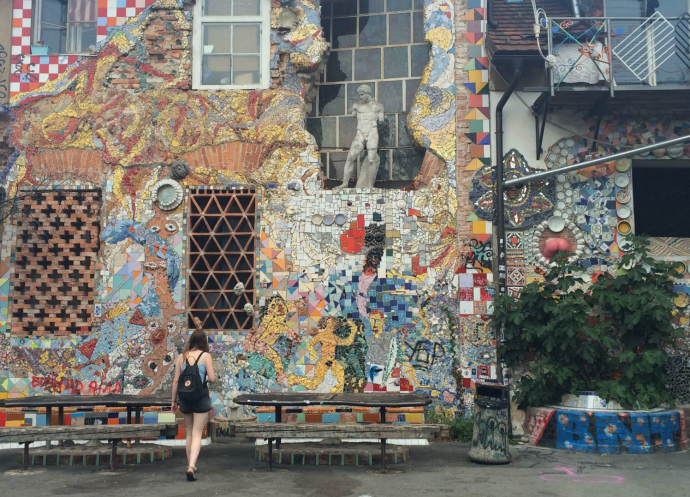 The tour took us around the main streets of the old city and then over towards the Metelkova Mesto which is basically an urban squat. 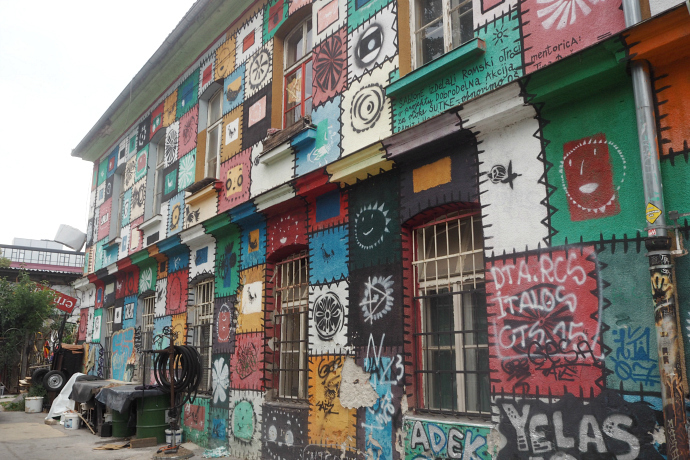 It's in an abandoned army base and is recognised for it's art, especially graffiti and underground music scene. The tour ended here so you could either head back to the Old City with the tour guide or stay and explore the area. 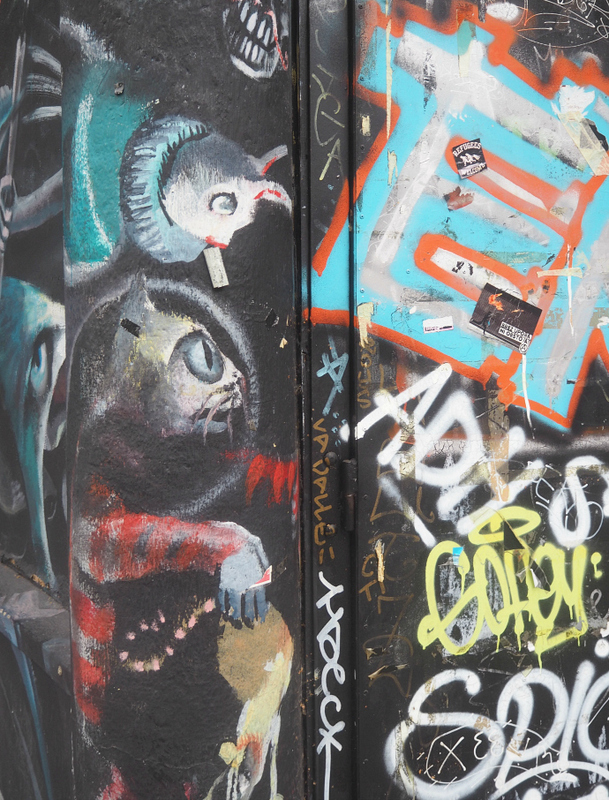 Because it was the middle of the day the place was very quiet but it was great to explore and see all the quirky street art. I would have loved to check it out at night and see it when its busier and music is playing but we had to meet our other friend Tilli at the airport on our only full evening so we had to skip it. If I ever go back to Ljubljana I'l definitely check it out at night. 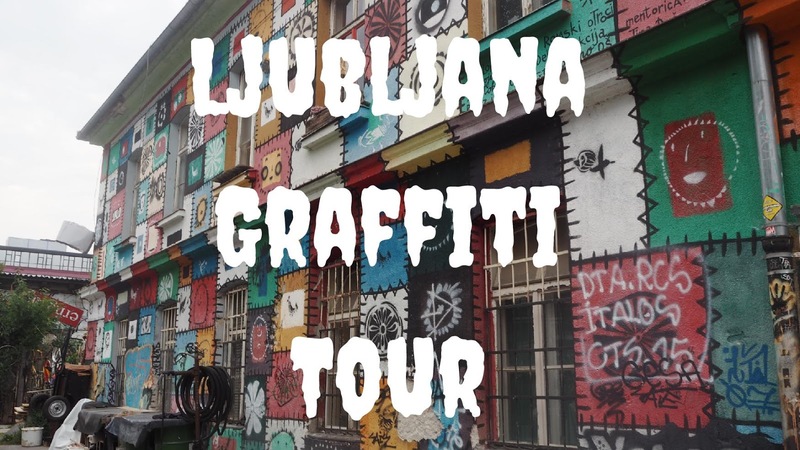 Even if you're not that interested in graffiti I'd recommend the tour as you get a good feel of the city as well as learning about the different kinds of graffiti. 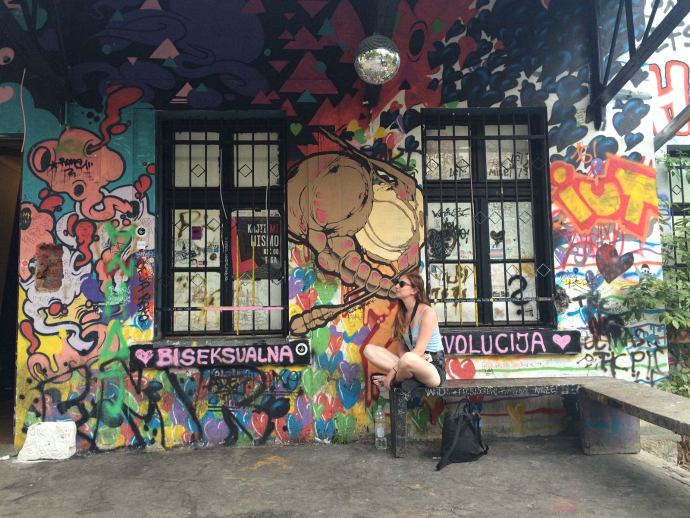 We opted to do this rather than a standard walking tour and didn't regret it. We were able to see most of the main sights alone without being on a tour. We obviously didn't get the information we would have on a tour but this is quite easy to find online, whereas, the things I learnt on the graffiti tour I wouldn't of found online. I mean, it's probably on there but I wouldn't of searched for it and wouldn't of even known what to search for! I've purposely not included too many pictures of the graffiti on the tour because, well, if I showed you it all it wouldn't be quite so exciting seeing it in real life. 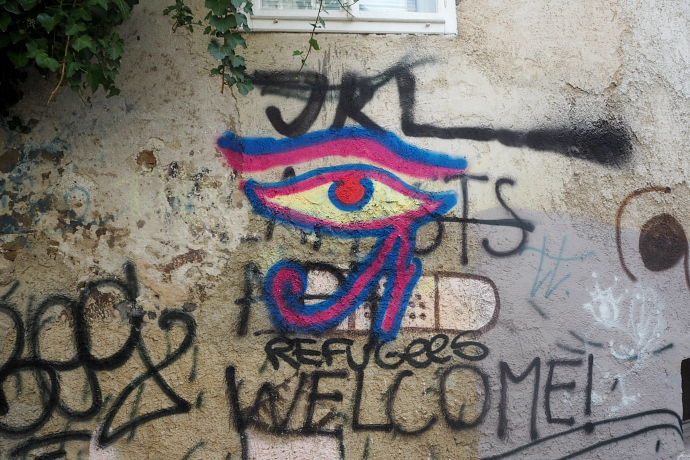 Some of the graffiti I saw may no longer be there because that's the great thing about graffiti it's constantly changing and being updated.